The Judas of the Benefit Claimant or Sacrificial Lamb ? Are they the most Reviled Government Ever? NHS- Safe in Our Hands,The Biggest Con! Following an independent review of the PIP assessment journey claimants experience in December 2014, Paul Gray recommended a number of changes to claimant communications to the Department for Work and Pensions (DWP) and Assessment Providers. After consultation with DWP and reviewing our communications, we have introduced a new business name that better represents the work we do independently assessing PIP cases. It can rebrand as much as it likes, it doesn’t stop the DWP destroying disabled people’s lives when being assessed and losing their money, vehicles, jobs when they fail to be assessed correctly and leaving some so distraught their health actually deteriorates or they lose what income from working they had , and the worst case scenario is they are left housebound when they lose their mobility vehicles. 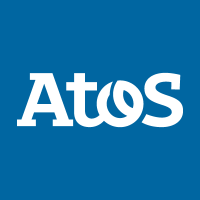 The stories are now coming thick and fast towards those contractors, which Atos is one, of lies and malpractice of assessors. Capita is the other contractor whose reputation has also been tarnished badly . 65% of decisions are now being overturned on appeal, some just give up because they genuinely cannot cope with their health conditions and the long protracted process that it entails and the loss of vital income which helps with the extra costs they face as disabled people. Recently those with mental health were asked ‘why they had not killed themselves yet’ ! Reports given to DWP in a lot of cases are filled with fabrication, claim claimants. One the eve of election night many are scared witless by these assessments praying to god that Labour are installed into Number 10 who have promised to scrap these assessments along with the notorious WCA assessments which Atos used to carry out until they left their contract early leaving Maximus to pick up the pieces. Either way these assessments are going the same way, should Labour get power this will need to be tackled head on to prevent serious preventable harm to those whom are struggling under the last 7yrs of horrific reforms to survive. Many thousands have died along the way, with Atos and the DWP blaming each other, but the blame lays fairly and squarely at the governments door for a badly thought out policy decision that has affected the disabled community on a grand scale, while blaming disabled people for being workshy,lazy , and faking disability which the general public have latched onto and left the disabled community easy targets of Hate Crime. Disabled people do not mind having a fair assessment given the public purse is helping them live independently, what they object to is being hounded to their graves and every waking moment being made scapegoats for a failed government policy that was only ever going to cause harm and they did not even have the decency to step in and stop this happening. The enquiry into PIP (Personal Independence Payments) was conveniently called off due to the fact Mrs May called a snap election in the hope of continuing these awful policies to cut the welfare bill of those they promised to protect. The disabled community has been hit 9 times harder than any other section of society, for the failure of a society who no longer care, a department who is determined to put saving money over human life of a community that takes the least of the welfare budget. The Truth About Welfare Deaths , The Figures They Don't Want The Public To See! The Health & Work Programme ~is Work really a 'Health Outcome' ?